Five months into his relationship with Rose (Allison Williams), Chris (Daniel Kaluuya) is about to meet her parents Missy (Catherine Keener) and Dean (Bradley Whitford) during a weekend visit to their rural home. Despite Rose's assurances, Chris is nervous about her family’s reaction to their interracial relationship - an anxiety that only grows as the weekend progresses, especially after Chris makes some disturbing discoveries. 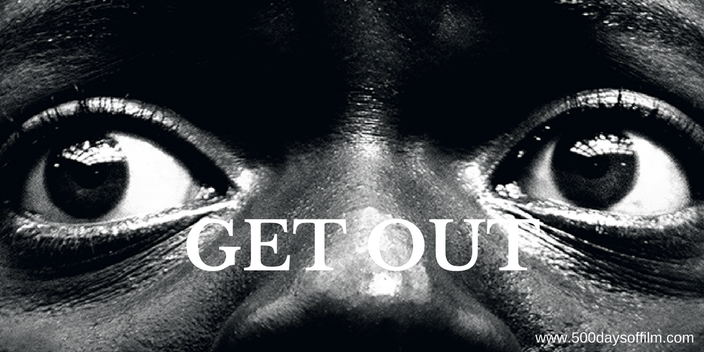 Written and directed by Jordan Peele, Get Out is surely set to become a horror classic. Both gripping thriller and provocative social commentary, the movie explores the legacy of racism and the insidious bigotry that exists within sections of the (outwardly progressive) liberal elite. These complex issues play out in Alison and Chris’ relationship. For example, while Alison has the confidence to confront the police (following an incident at the beginning of the film), experience has made Chris jaded - resigned to being seen as guilty until proven innocent. Exploring these themes, Peele builds suspense and an atmosphere of unease. Ever the nice guy, Chris is prepared for Dean’s over-accommodating welcome and Missy’s guarded acceptance. In fact, he is willing to excuse the increasingly sinister goings on long after we have started to will him to leave. Ultimately, the less you know about Get Out the better. To explore the movie’s twists, turns and smart social references would spoil any initial viewing experience. However, there is so much going on beneath the surface that Peele’s film demands repeat viewings to appreciate its depth and detail. Get Out’s central performances prove safer ground for spoiler free discussion. Daniel Kaluuya is simply superb as Chris. His nuanced reactions to the movie's disturbing revelations are perfectly judged. Meanwhile, Allison Williams’ portrayal of Rose is extremely impressive and Catherine Keener and Bradley Whitford both give powerful and unsettling performances. However, the most glorious, scene stealing performance has to go to Lil Rel Howery as Rod Williams. He is responsible for most of the laugh out loud and entertaining scenes in the movie. Again, to go further would spoil the film - suffice to say, you will be hard pressed to find a better supporting character. Alongside the comedy, Get Out features its fair share of horror. Indeed, the movie's horror film influences are clearly referenced throughout. However, Peele's aim is to unsettle his audience, not terrify them and there are only fleeting moments of gore. The end result is an entertaining, intelligent and layered film - a thrilling movie that will make you think and provoke much debate. Jordan Peele has created a new horror classic and I can’t wait to watch it again. I loved Michael Abels atmospheric music in Get Out. Have you seen Get Out? If you have, what did you think of Jordan Peele’s movie? Let me know in the comments section below!